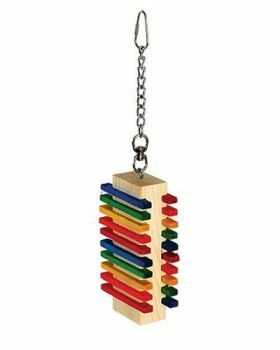 This Colorful Slat Lineup-Caitec/Paradise bird toy is great for exercising your bird's mind and body. Birds go crazy trying to remove the colorful and secured wooden slats from the natural wood block. Notify me when Colorful Slat Lineup-Caitec/Paradise is in stock.